Travis Dorsch focused on academics while competing in baseball and football at Purdue University. On the football team, he set several records, including career scoring (355 points), career field goals (68) and career punting average (48.5). 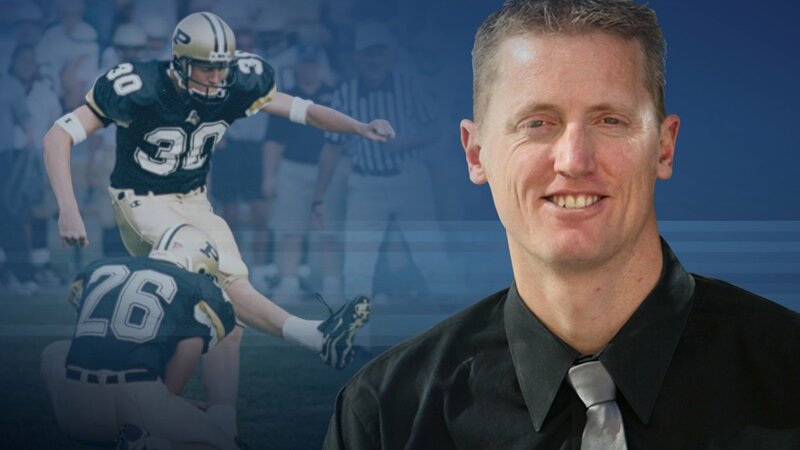 He was named a consensus All-American and won the 2001 Ray Guy Award as the nations best punter. Dorsch left an indelible mark as a Boilermaker. He’s the only athlete in school history to have kicked a field goal and thrown a touchdown in football, and hit a home run and recorded a win as a pitcher in baseball. As a 6-foot-7-inch football kicker and punter, he was selected in the fourth round of the 2002 NFL Draft by the Cincinnati Bengals. He spent time on NFL rosters in Cincinnati and Green Bay and also played NFL Europa before retiring to pursue his graduate education. He quenched his thirst for knowledge by completing his doctoral degree in 2013.